This one trick can get you singing in tune or get you singing more in tune. There are many other tools that can assist in singing in tune and singing well, but underlying all is one secret mind trick. And that trick is called Conceptual Placement. 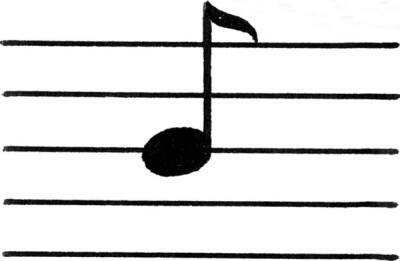 Singing in tune is simply the act of placing a note vocally in the correct spot in relation to the notes around it and the song in general. I know that can sound a bit far fetched for someone who can’t sing in tune. But that doesn’t make it any less true. It would, however, help to explain that statement and show the trick to overcome the problem presented. In order for a note to be a note as we know it, it has to be in a song. Otherwise it is simply a sound. Not until that sound it compared with other sounds in the context of a song is it considered a note. You can say the word ‘no’, but that doesn’t make it a note. If someone asks you if you want to jump off a cliff, unless you are wearing a parachute or have a glider attached to your back, you’re answer should be ‘no’. You are not singing a song at that point. Now, think of a song with the word ‘no’ in it. There are sooooo many examples of this out there. I’m not going to give you any hints because it is vital that you remember one yourself. So go ahead and remember a song that has the word ‘no’ in it. Now, sing that song in your head. As you probably ‘heard’, there are other words around ‘no’ and therefore other notes. Each one of those notes is a note because there are other notes around it. Combined they make up a song. Each notes relation to the notes around it make it a note. I go into this in more detail in Singing From Scratch, but you can view the song as an entire family and the notes the individual members. Any note that is introduced into that song that isn’t a relative to the rest of the notes, does not belong and is considered a bad note. That is the note that is out of tune. So how do we keep the bad notes out and keep the good notes in? That’s where Conceptual Placement comes in. I recently did a post on the science of conceptualization and The Conceptual Singing Method™. Conceptualization is superior to conscious action. We think before we act, if we are acting consciously. Plain and simple demonstrable fact. Before you start your day, you get a picture in your mind of what you are going to do. Before you run your errands, you think about them first. In fact, it’s tough for some people to get in their car and start driving for no reason at all and with no destination at all in mind. Heck walking outside for no reason is hard. Try it sometime and see. We so want a concept, that we will make up a reason. But that is a different subject. The point is, we get a picture in our mind or concept before we do something. Based on that science, the better the concept of how to sing you have, the better you will be at singing. So, the better your are at conceptualizing singing in tune the better you will be at it. And a simple trick to help develop the ability to conceptualize singing in tune is Conceptual Placement. Remember as a kid watching cartoons and seeing the character climb up and down stairs or up and down a ladder? In the background there was usually and instrument, like a xylophone, playing a bunch of notes going up and down with the motion of the character and it sounded something like this. As you can hear, the notes go up and down. You can also hear that each note has a place relative to the notes before or after (around) it. The notes around it are relatively higher or lower and each note is in a specific place either higher or lower than the notes around it. The trick is to place the notes in the correct place that make them ‘in tune’ with the other notes. If they are out of place, they don’t belong and are ‘out of tune’. So they need to placed, or in the case of singing, sung in the correct place relatively higher or lower than the notes around it. And as we have established before, we need to get the concept mentally of where to correctly place the notes vocally in order to actually sing the placement of the notes correctly out loud. In other words, we need to be able to think where the notes are going to go before we can sing where the notes should go to be in tune. So let’s get that mental trick or tool set up for you so you can use it to help with your conceptual placement. First you should look at the ladder provided in here in the this post to start practicing. 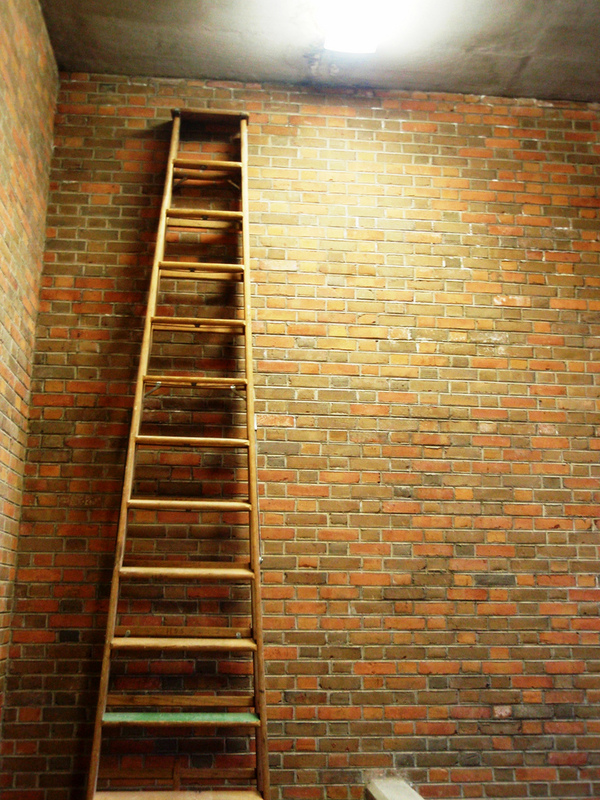 When that becomes too easy, look away or close your eyes and picture the ladder mentally. But first we need to be looking at that picture. Then, we are going to sing a song and picture where the notes should go on the ladder, either higher or lower on each rung, relative to the other notes. To help with this, use the song Row Row Row Your Boat. Start the song mentally at the bottom of the ladder. In other words, the note and the first ‘Row’ would start at the bottom rung of your ladder. Mentally place the word ‘Row’ there. Then the next word, which is ‘Row’, and since we didn’t go up or down, as it is the same note, it also is placed on the same rung, as well as the third note/word ‘Row. In fact, the next word which would be on another rung is ‘Your’, and it is one rung above the ‘Row’s’. Continue in the manner, mentally placing the notes on the rungs of the ladder until you can easily do it. Once you can easily ‘see’ the notes of the song on the ladder as you sing it, then throw away the training wheels and picture the ladder in your mind, or any ladder for that matter, and do the whole thing mentally. Do that until you are completely confident that you can sing the song and mentally place the notes on the ladder easily. Then and only then, switch to another song, then another, and another, and so on. Soon you will be doing it naturally. You will find that you are placing the notes properly in tune and relative to the other notes around it in the song. In other words, you will be singing in tune. You are now well on your way to mastering Conceptual Placement. The above trick or exercise is actually part of one of 61 drills in Singing From Scratch.